“Nasty” Campaign Ads Now Have Whole New Meaning! Just when you thought that political campaign ads could not sink any lower, Barack Obama’s team shatters your delusion. The latest Obama re-election ad features Lena Dunham sharing with the nation that her “first time” was with Barack Obama, and continues in an embarrassing blather of sexual innuendo that is crass, vapidly shallow, and excruciatingly silly. 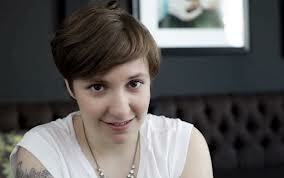 Dunham’s entire message: “Vote for Obama, he’ll get you free birth control”! And the subtext “and isn’t he so cool and cute?”. The entire Democrat pitch to women voters in this 2012 election centers on free birth control and advocacy for abortion. It’s insulting and degrading to our intelligence, to the prominent roles women hold in leadership positions in business and in our society generally, and to our collective intellect that is concerned about more than reproduction. Millions of genuinely intelligent American women need to start talking to each other and to their daughters and friends about what should drive the women’s vote. Most women I know are far more noble, substantive and intelligent than to be drawn in by or defined by free birth control. Savvy women demand a stable and robust free market economy so they can find good jobs and so their kids can find good jobs. Liberal supporters of choke-level taxes and regulations have proven over the last four years they can destroy the job market and the economy, and they are running on a platform of increasing those taxes and regulations. No one is trying to outlaw contraception for you or anyone. It’s legal and available. Don’t get duped by silly lies that say otherwise. Democrats are trying to force insurers to give you free birth control, but ask yourself: didn’t we all learn there is no such thing as a free lunch? Who is really paying? And why stop at birth control: why can’t we all have all of our health care for “free”? Ladies, we know better than this! The current Democrat administration has handled the economy so badly that 53% of college graduates 25 years of age or under, and these are smart young people with bachelor’s degrees or more, are unemployed or underemployed. Under the current Democrat President -- who is asking you to re-hire him for four more years -- we have the longest sustained period of high unemployment in decades, the largest number of Americans on SNAP (food stamps), the highest ever recorded number of people living on disability, and massive numbers of Americans living in reliance on government. And fewer and fewer Americans working and paying taxes to support all of this. The impact of the above on you: if you want a life, a job, the freedom to live your life and pursue your dreams, you can’t get there by re-hiring our current President. No matter how much free birth control he offers. A new LOW for "O". Disgusting.